The six layer chocolate coconut Peeps cake from Half Baked Harvest is the ultimate Easter treat. Marshmallows and chocolate are two traditional Easter flavors that come together in this dessert. 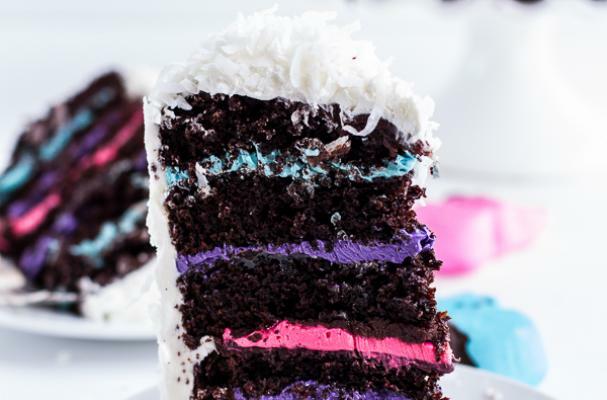 Moist and delicious chocolate cake is layered with homemade marshmallow buttercream, chocolate ganache and coconut caramel. The finished cake is coated in shredded coconut and garnished with a few brightly colored Peeps. Since this recipe has many steps, it is recommended that you prepare the cake over a number of days. For full recipe instructions, click here.